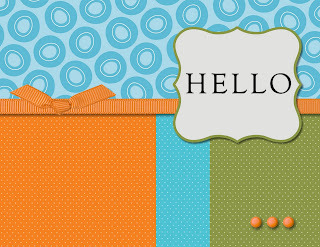 Welcome back for another fun filled week on the Diva Coffee Break Challenge! This weekend in the United States we will be celebrating Memorial Day so this weeks color challenge is a perfect way to help honor those brave men and women who died in the services while protecting our country. No matter what country you live in this is a fun bright color combination that will surely produce some great cards. 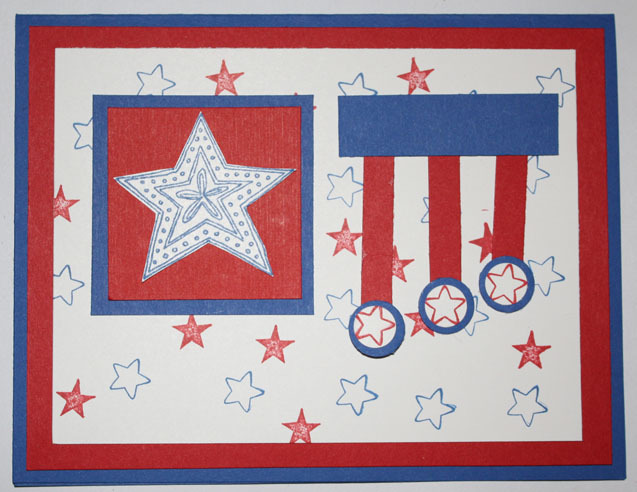 Check out the cards that the Diva's have created for you, create a work of art of your own and don't forget to come and add a link your creation! Melissa Carr is in the house! 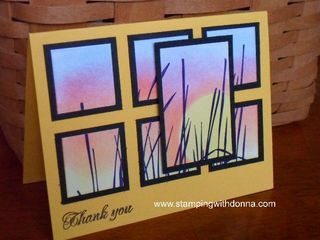 She's our Featured Artist this week with this lovely card of hers she submitted for DCBD #176 color challenge to use Rose Red, Blush Blossom and Mellow Moss. Thanks for joining us MELISSA CARR! Please go visit Melissa to congratulate her and to view other beautiful creations, not to mention her pictures and stories of the nature around her! Please join us again on Wednesday for another fabulous color challenge and a chance at being our next Featured Artist! Happy Wednesday! I am so happy that it is Wednesday, it means we are half way to the weekend and I cannot wait for the weekend this week. 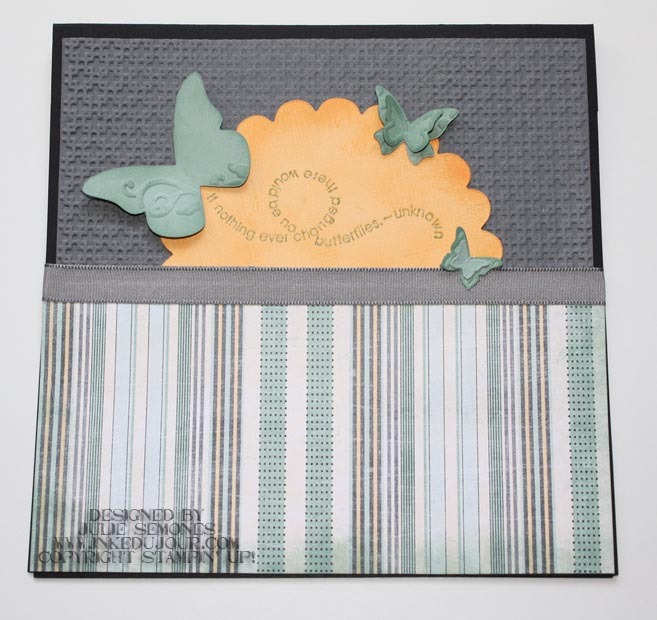 Don't forget it is National Scrapbooking Month and Stampin' Up! has a deal for you, just check with your demonstrator for details! Be sure to play along with us, and when you have finished creating your card, upload it to your blog, and come back here and leave your URL using InLinkz (below) and we might just choose your card for Featured Artist! Featured Artist for Challenge #175! 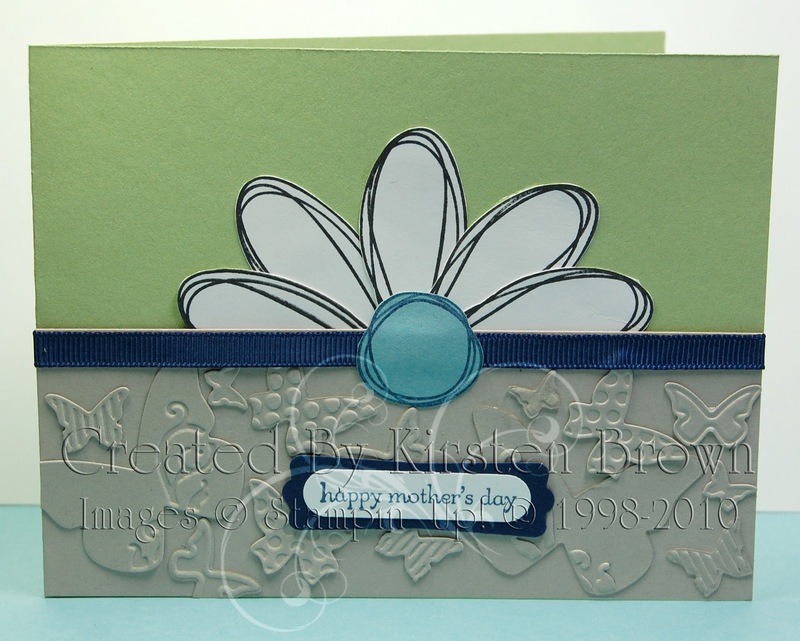 You're the next Featured Artist on Diva Coffee Break Designs! 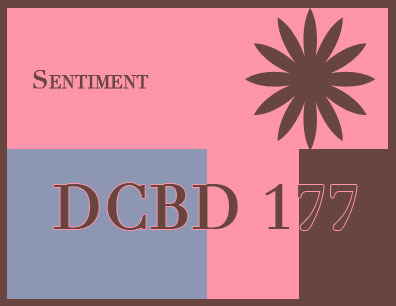 Check out this lovely rendition of the DCBD Sketch Challenge #175! 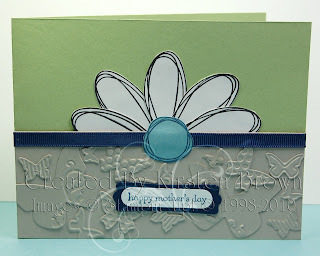 We love Mary's use of color and flair! Thanks for joining us Mary! 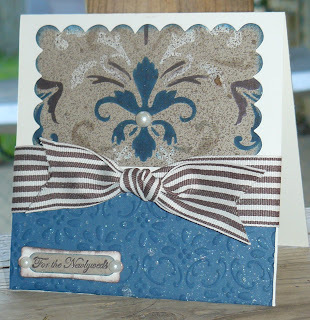 Be sure to check out Mary's blog Stamper Camper's Corner and see all her artistic creations! Thanks to all of you who played along- we had a hard time choosing our favorite as always! 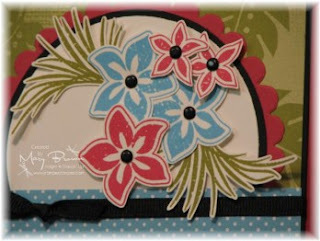 Stop back on Wednesday for yet another Diva Challenge you can join us for. Who knows, maybe YOU will be our next Featured Artist! Happy Wednesday! It is so great to be back for another Diva Coffee Break Challenge. Other than an unseasonably cold (30 below normal) storm earlier this week, spring is in full bloom over here. The flowers are blooming beautifully and the plants in the garden are starting to take off. 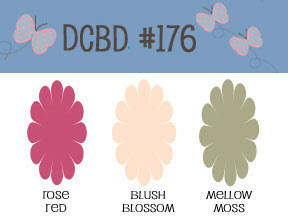 This week we have a wonderful spring-y color challenge. Some of these colors will soon be retiring, so lets make the most of them while we still can! Check out all the wonderful samples that the design team has created and be sure to create along with us. 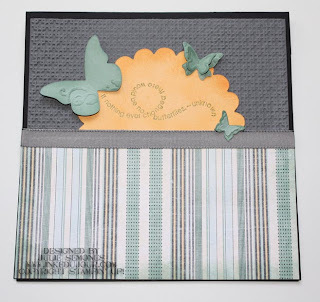 When you have finished creating your card (or stamped project), upload it to your blog or website gallery, and come back here and leave your URL using InLinkz (below). You never know, next week you may just be our next Featured Artist! Featured Artist for Challenge #174! Congratulations to Snappy Stamper, Arielle Gordon! You are our Featured Artist for Challenge DCBD #174! Thanks for joining us Arielle! 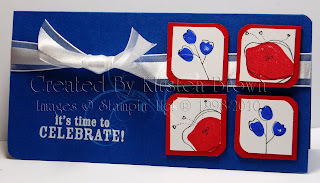 Be sure to stop by Arielle's blog and leave her some congratulations! 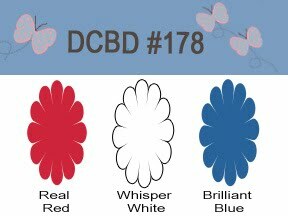 Stop back by tomorrow for a new color challenge with the Divas! Good Wednesday morning everyone!! I hope you were all able to make it on the Royal Blog tour! If you didn't, you missed some very pretty work by some talented artists. Stay tuned for the next one!! 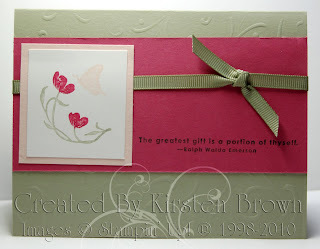 And here are the cards the designers have made! Be sure to check out their personal blogs and see what else they've been creating! Thanks to everyone that played along--there were so many great cards! It's always hard to choose a favorite!! Come back tomorrow for another sketch challenge!! !